Electronic Tendering is carrying out the traditional tendering process in an electronic form, using the internet. E-tendering is the procurement process simply conducted online, i.e. supplier registration/ creation, issuance, tender download, submission of bid, receipt & opening of tenders. An e-Tendering Portal is a Web based application which offer services for e-tendering. NPCIL officials / suppliers can access this portal either through a link provided at NPCIL’s official web site or directly through URL https://npcil.etender.in, for floating of e-tender or to participate in online bidding process. What are the basic requirements for using e-Tendering portal? 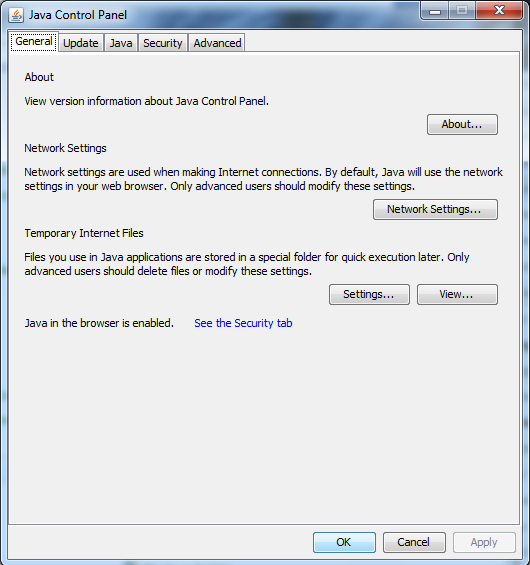 What JAVA settings have to be done in the computer for using e-Tendering portal? How can I enroll myself on e-Procurement portal? It is one time process of filling a registration form by the vendor which may be accessed by clicking upon "Portal enrollment for New Bidders" link available on e-Tendering Portal to obtain their login ID & Password. This login ID & Password can be activated after completing the system authentication through their email. After activation kindly upload the relevant documents in support of your enrollment and map your digital certificate. Please refer "Instructions to bidders" available under download of this website for further clarity. This login ID & Password can be used to participate in online bidding process. If I am enrolled on e-Procurement portal, how long is it valid? Your enrollment is valid for a lifetime or as decided by NPCIL. You may access e-Procurement portal only if you are not debarred/blacklisted by Tendering Authority. What charges are to be paid for enrolment/support? THERE ARE NO CHARGES FOR SUPPORT OR ENROLMENT FOR THE NPCIL e-TENDERING PORTAL. I have enrolled my company on e-Procurement portal. Why I have not received any confirmation mail? As you complete your enrollment, system generates a confirmation mail to your registered email id. So if you have entered wrong email id you may not receive the registration confirmation mail. Kindly Contact Help Desk for Assistance. What is digital certificate? Why it is required? A digital signature is an electronic signature that can be used to authenticate the identity of the sender of a message or the signer of a document, and to ensure that the original content of the message or document that has been sent is unchanged. Digital signatures are easily transportable, cannot be imitated by someone else, and can be automatically time-stamped. A digital signature can be used with any kind of message, whether it is encrypted or plaintext. As per Indian IT Act, 2000 use of valid digital certificate is mandatory for any e-Tendering portal. What is the legal Validity of Digital Signatures? The Indian Information Technology Act 2000 (http://www.mit.gov.in/content/information-technology-act) came into effect from October 17, 2000. One of the primary objectives of the Information Technology Act of 2000 was to promote the use of Digital Signatures for authentication in e-commerce & e-Governance. Towards facilitating this, the office of Controller of Certifying Authorities (CCA) (www.cca.gov.in) was set up in 2000. The CCA licenses Certifying Authorities (CAs) to issue Digital Signature Certificates (DSC) under the IT Act 2000. The standards and practices to be followed were defined in the Rules and Regulations under the Act and the Guidelines that are issued by CCA from time to time. The Root Certifying Authority of India (RCAI) was set up by the CCA to serve as the root of trust in the hierarchical Public Key Infrastructure (PKI) model that has been set up in the country. The RCAI with its self-signed Root Certificate issues Public Key Certificates to the licensed CAs and these licensed CAs in turn issue DSCs to end users. How do I get a valid digital certificate? e-Token is a hardware mechanism used for password authentication via using identity management technique and provides hacking problem solution to the user. It looks similar to pen drive and fixes in the USB port of the computer. Is e-Tendering portal is secured? Secured login: Unlike traditional website, e-Tendering portal requires login id, password and valid digital certificate. Password is also stored in encrypted manner so that it cannot be viewed by even system or database administrator. Process Validation: The Solution has been so architected that a user (Department Officers / Bidders) cannot view the commercial bid of any Bidder till the date & time specified for the opening of the commercial bid is due. Data Encryption: The solution supports 128 bit encryption and all the price bids received against a tender are encrypted at the database level. SSL: 128 bit SSL is being used for secure communication to take place between browser and server. Compliance to Indian IT Act: The complete e-Tendering process is compliant with IT Act, 2000 of the Govt.of India. How to view tenders details and download the documents? Details of all Public Tenders (PT), Limited Tenders (LT), Single Tenders (ST) can be viewed by anyone from the home page. Limited Tender (LT) or Single Tender (ST) participation is allowed only to the intended bidders who shall be able to submit the bids. However the Tenderers are required to meet the Qualification Criteria stipulated, if any, under the tender. It may be noted that uploading of documentary evidence with respect to qualifying requirements is mandatory. How to logon to the e-Procurement portal? You need to enter correct login id, password and valid digital certificate to logon to the website. What to do if I forgot a password? You can use “forgot your password” functionality available on the home page. You need to provide your email id. A system Generated email will be sent containing a link to reset your password. Can I use a same digital certificate with the different login ids? No, once a digital certificate is mapped with any of one login id the same digital certificate can not be used with other login ids. Can I update my enrollment details? Yes, you can update your enrollment details by accessing “My Profile>>Edit User Information” functionality after logging into the e-Procurement portal. Which language I can use for tender submission? You can use English language only. How to submit technical, prequalification supporting/reference documents? You can upload and save all the supporting documents like past experience certificate, ISO certificate etc in “My Briefcase” and can reuse and attach these any time for future tender submission online. Alternatively, You may upload supporting document along with tender itself without saving in briefcase also. What is the Maximum Size and type of documents allowed to be uploaded? Files with extensions [.pdf /.doc /.docx /.xls /.jpg /.jpeg /.png ] with maximum size 10MB are allowed. Can I attend the prebid meeting online? Yes, you can attend a prebid online during the prebid meeting time specified in a tender, if the mode of pre-bid meeting is decided as online by NPCIL. How do I come to know about any corrigendum/addendum published in a tender? System displays the corrigendum count for each tender. System increases the count as any corrigendum / Amendment is published. You can view the complete corrigendum / Amendment details by clicking on corrigendum / Amendment link. How to submit technical, price bid online? Do I need to scan the technical & price bid and to upload it? After logging into the website, you need to fill in required fields details in the bidding format available in the system only. Don't upload scanned price bid documents. Can I access the e-Procurement portal on any date, any time? Yes, you may access e-Procurement portal on any date and any time except maintenance time period. Till what time I can submit a tender online? You need to “Check & Submit Bid” of a tender (dropping a tender in Electronic Time Stamped Tender Box) as per the submission end date & time mentioned in a tender notice of respective tender. System would not accept any tender once the submission date & time is lapsed. Important Note : Bidders are advised to submit their bids well in time to avoid any last minute hindrance. How secure my data is before doing a “Check & Submit Bid” of a tender? While preparing a technical & price bid, the data is encrypted with your public key before submission of a data to the server. This data can only be decrypted with your own private key. How secure my data is after doing a “Check & Submit Bid”? At the time of “Check & Submit Bid”, your data is encrypted with the concern government officer's public key and stored in the database. This data can only be decrypted using that government officer's private key after tender opening date & time. What if I accidentally submit the same tender twice? System doesn't allow you to accidently submit same tender twice. But if you want to edit the already submitted offer you can withdraw your tender and resubmit within due date and time. Is it necessary to submit a complete tender in one go? No, you may prepare technical bid, price bid phase wise. i.e. you may prepare and save your bid and later on you can do final submission of a complete tender. How do I confirm that my tender is submitted successfully? On successful completion of final submission of a tender, system generates an online receipt which is a proof of online final submission. How to submit tender document fees? As per the instructions given in the tender notice, you may submit tender document fees online for online tender and offline for manual tenders. How can I track the status of my tender? Can I attend tender opening online? IN NPCIL YOU CAN PARTICIPATE IN RESULT SHARING IN CASE OF PUBLIC TENDERS and LIMITED TENDERS. You can see the Price bids of all the bidders. 3.Single tender is not visible to vendor after login Single tender is available in limited tender tab and if in limited tab tender is not available then another user is assigned to tender. 4.Offline Single tender is not visible after login as they got invitation mail Offline Single tender is available in limited tender tab. And if not available in limited tab then Mail id is wrong or otherwise username is different. 7.Can’t Create Object Error is coming while login Nxtcrypto Utility is not installed on user system Add URL: npcil.etenders.in-> System Requirement-> Download DC setup And then installed.